Ribbed crewneck. Rubber-print Mexico graphic on front. Regular fit is wider at the body, with a straight silhouette. 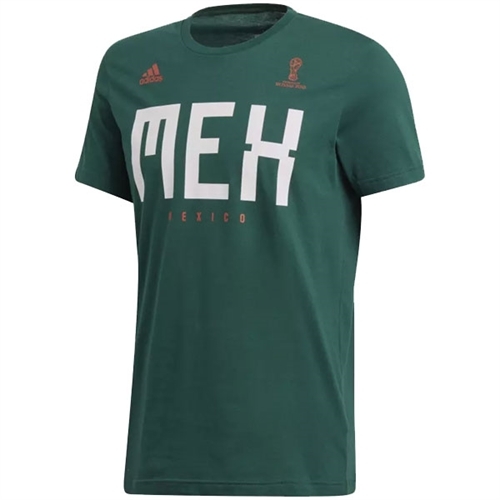 Our adidas Mexico Fan T-Shirt 2018 is what you need to support El Tri on the road to win Wolrd Cup 2018!